I do not agree with writer’s views. I am an RSS person. I know the internal situations in RSS. 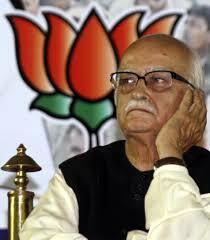 When writer says that main agenda of RSS is to promote Manuvaadi system is totally wrong. He and his cast fellows are availing the ST benefits in the name of so called Manuvaadi system. Can he start a campaign against ST reservations? At least he can teach his Meena cast people to disown the reservation facility just because it is based on Manuvaad. They are enjoying so called Manuvaadi system. If they don’t believe in Manuvaadi system, why are the enjoying Reservation for ST? As a swayamsevak I do not believe in cast system but those who curse on this cast system day and night, will never like to stop this so called Manuvad. How can they do dirtry politics in the name of Casts if pure Hindutv comes in practice? Hindutv means first we are Hindu and then any cast. That no discrimination on the bases of cast, Panth, language etc.